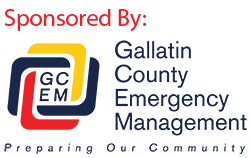 The Gallatin County Sheriff’s Office has received multiple calls regarding an ongoing scam. The scammer identifies himself as a Lieutenant with the Sheriff’s Office and informs people they have missed jury duty or that they have come across paperwork that needs to be resolved. In both cases, they request the person call 406-924-9989 to resolve the matter. This is a scam and we would like to remind everyone that the Sheriff’s office will not request money.